I order chicken lettuce wraps a lot at restaurants, and I knew they couldn't be too difficult to make. Guess what? They're not! 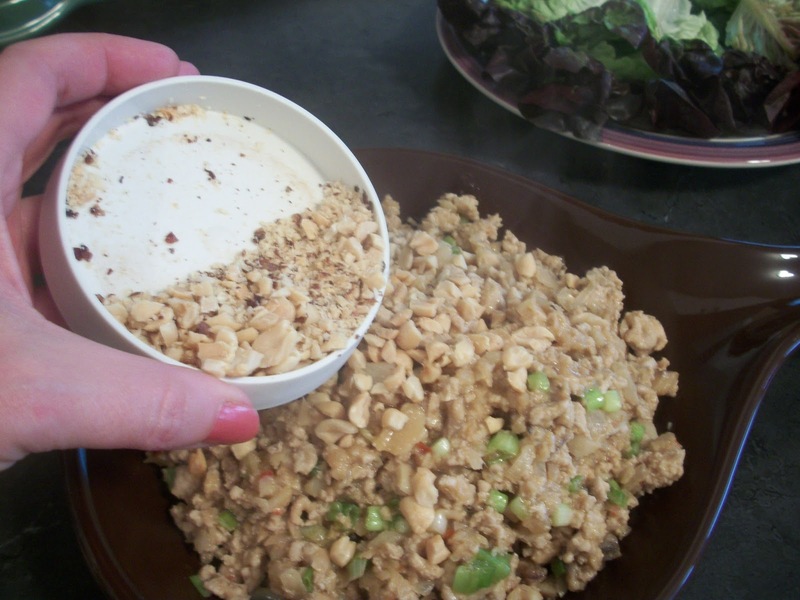 These are a nice change of pace from salad, and work just as well as an appetizer or a main course. Don't be put off by the long list of ingredients - this comes together quickly and the flavors are amazing! 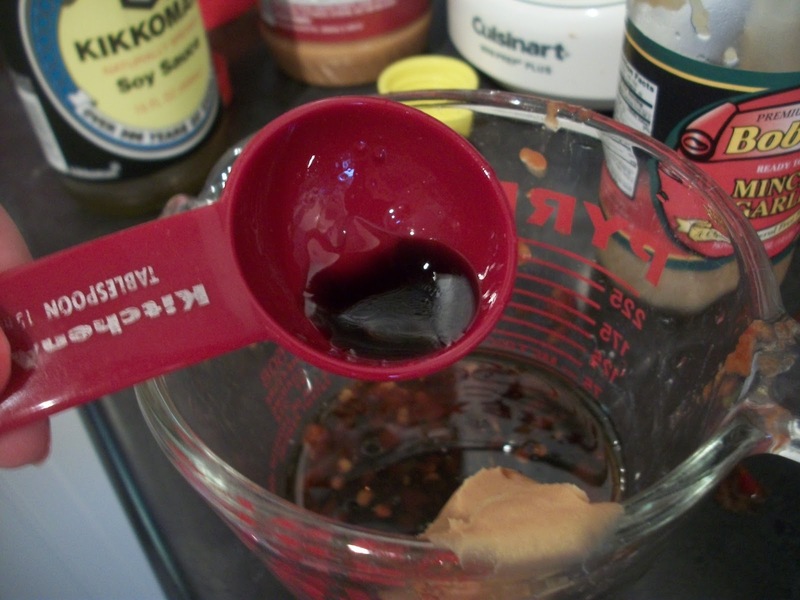 oil, peanut butter, water, honey and chili garlic sauce. 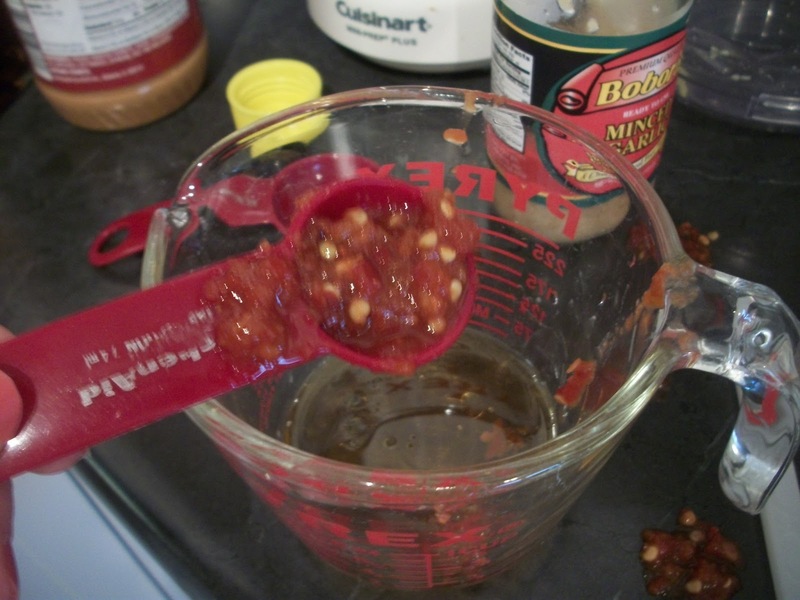 Microwave for 20 seconds to warm up all the ingredients, then stir until smooth. Add to the cooked chicken in the skillet. 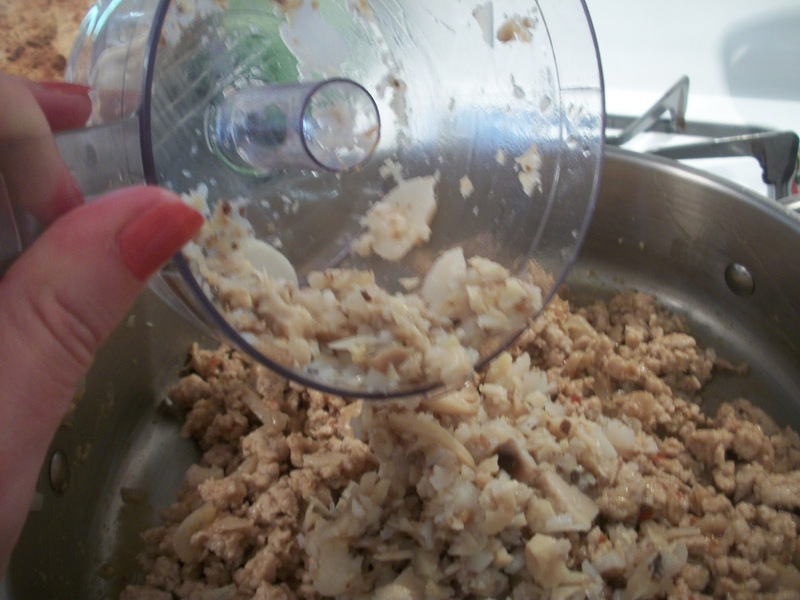 Stir to combine then add the water chestnuts and mushrooms (I chopped them up first in my mini chopper). 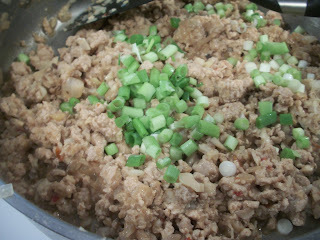 Give it another good stir, let cook for a minute to heat through the ingredients, then add the green onions. Transfer the mixture to a serving dish and then sprinkle with the peanuts. 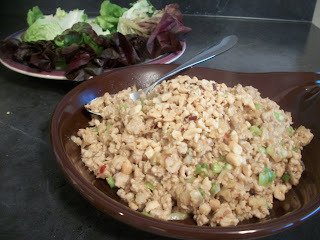 Serve the chicken mixture with large lettuce leaves - I used a mix of Boston and Bibb, but Iceberg, romaine or any sturdy variety will work well. I think Belgian endive would be fun, too! Find more ideas at Mouthwatering Monday, Inspiration Monday, Mix it Up Monday, Melt in Your Mouth Monday, Recipe Sharing Monday, Tasty Tuesday, Tasteful Tuesday, Tuesday Talent Show, Clever Chicks, Try a New Recipe, Hearth and Soul, Whole Foods Wednesday. Heat a large, non-stick skillet over medium-high heat. 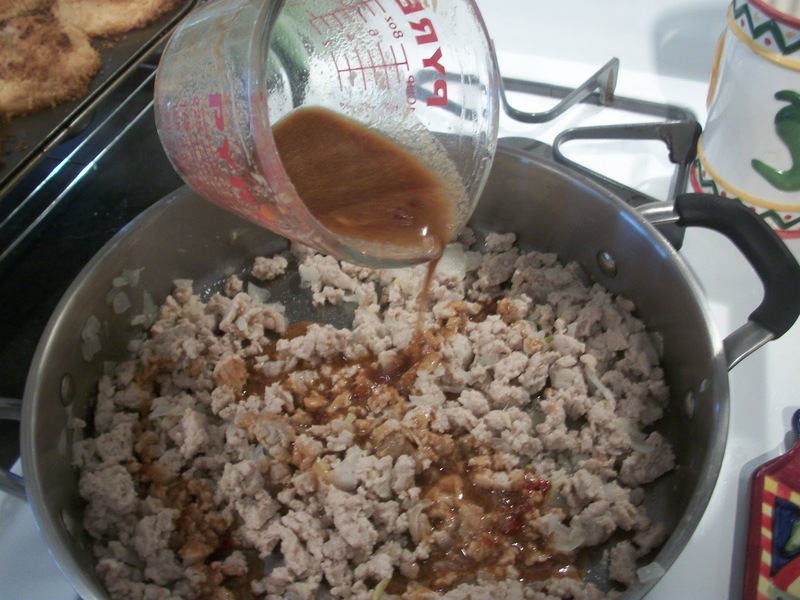 Add chicken and onion, then cook until chicken is nearly done, stirring often to break up the meat. 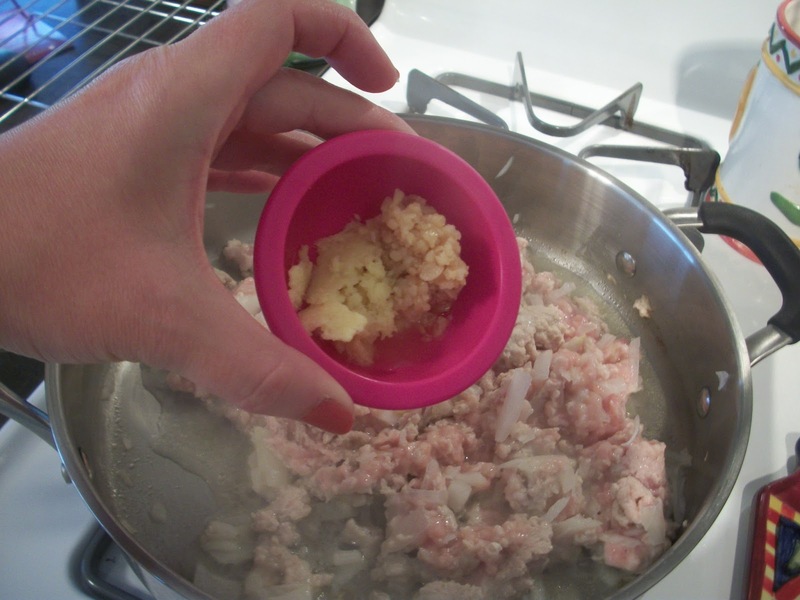 Add garlic and ginger then continue cooking until chicken is no longer pink. 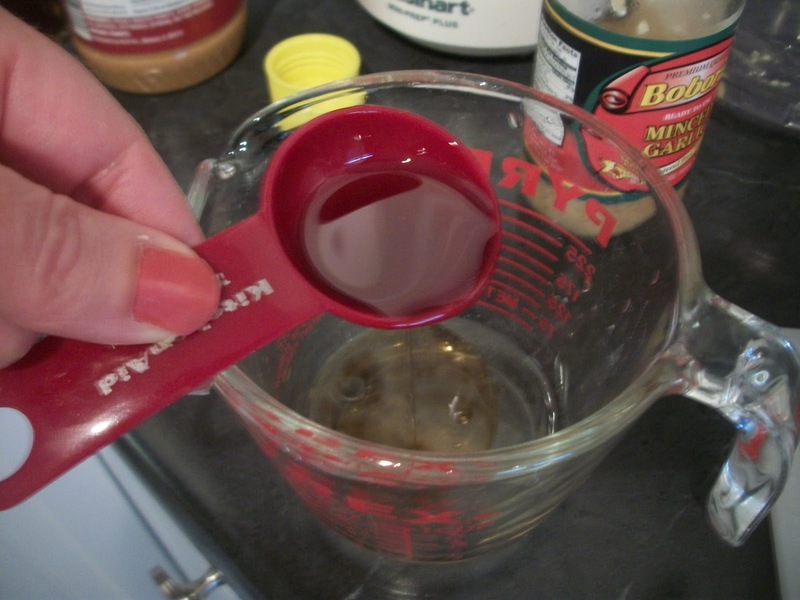 Meanwhile, in a microwave-safe measuring cup, combine soy sauce, rice vinegar, oil, peanut butter, water, honey and chili garlic sauce. Microwave for 20 seconds, then stir until smooth. 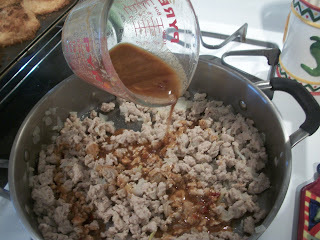 Add into the skillet and stir to combine. 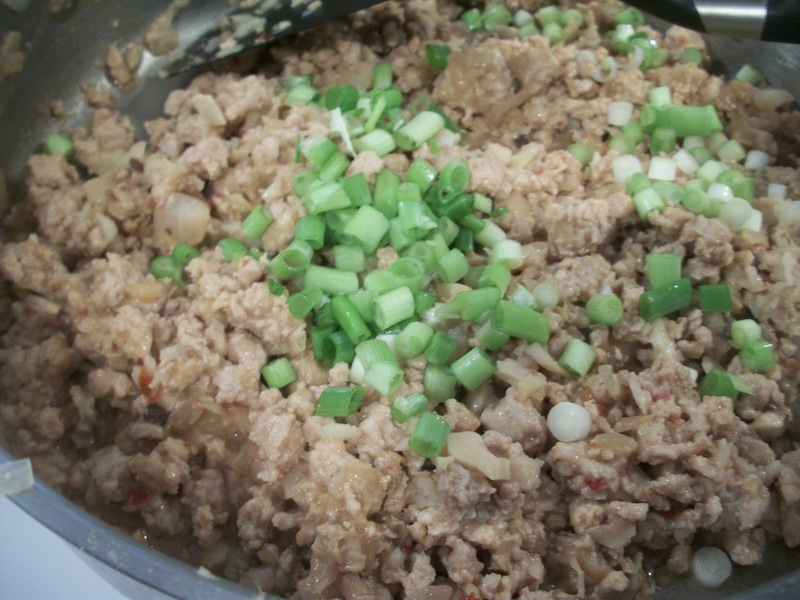 Add green onions, mushrooms and water chestnuts to the skillet then cook for 1-2 minutes until the onions are soft and all ingredients are heated through. Sprinkle with chopped peanuts, and serve with cold lettuce leaves. Chili Garlic Sauce is one of my very favorite condiments. 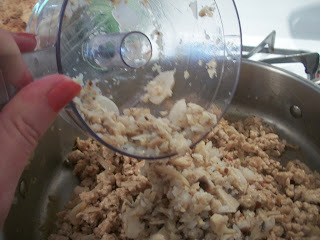 I go through a ridiculous amount of it, and chicken wraps is one of my favorite ways to use it! Love this perfect summer recipe! Thank you so much for linking it up to Mouthwatering Mondays! I always enjoy Chicken Lettuce Wraps in restaurants but have never made them myself. Your recipe sounds wonderful, Elena Blthe, especially with that wonderful sauce, and I look forward to giving it a try. I've pinned it to my Chicken Dishes board and will share it forward on Facebook as well :) Thank you for sharing another delicious recipe with the Hearth and Soul hop. It seems like making lettuce wraps would be a great alternative to salad. 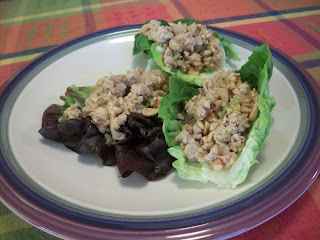 The beautiful thing about lettuce wraps is that the meat can always be substituted out for an alternative. Chicken would be a very logical choice to go with the lettuce though. Thank you for the recipe for the chicken lettuce wraps.